On September 25, I had the privilege to be present at the opening of the exhibition "Das Schwert - Gestalt und Gedanke" (The Sword – Form and Thought) at the Deutsches Klingenmuseum in Solingen, Germany. This exhibition is a real must see! 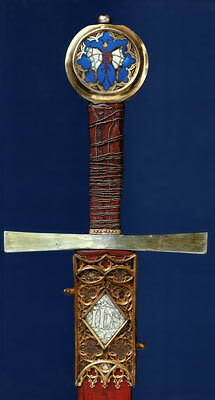 It is dedicated to the European sword, and its history from the High Middle Ages to Early Modern times: as a tool of war and a symbol for the knightly virtues, as the preferred weapon of the art of fencing and insignia of authority, as a product of technological perfection and as a precious piece of jewellery. Thanks, Carl. This is great for those of us who couldn't visit the exhibit. I shared it on the myArmoury.com Facebook Page. 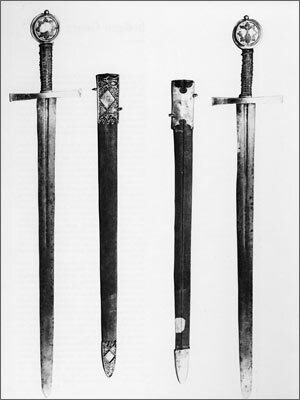 One of the swords on exhibition is believed to have been carried by St. George himself. 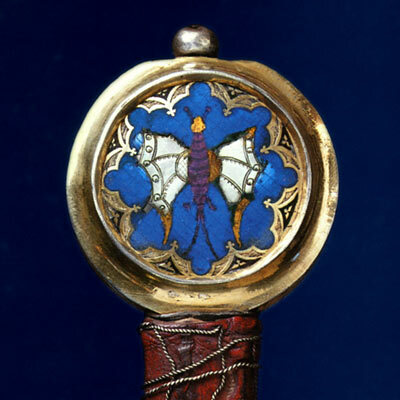 It has a butterfly on its pommel. "The Sword of Saint George"
Thanks much for the visual treat. Most especially love that piece by Petr Florianek.